Editor’s Note: This article was originally published in June 2015. Due to popular demand, the article has been updated to include six sample Balanced Scorecard strategy maps. The Balanced Scorecard (BSC), in my humble opinion, is one of the best management reporting frameworks available. I’ve worked with countless clients to integrate the BSC, and know it like the back of my hand. But if you’ve landed on this page, I’m guessing you aren’t looking for a simple, detail-less, contrite description of what a scorecard is and how to use it. You can find those all over the internet. 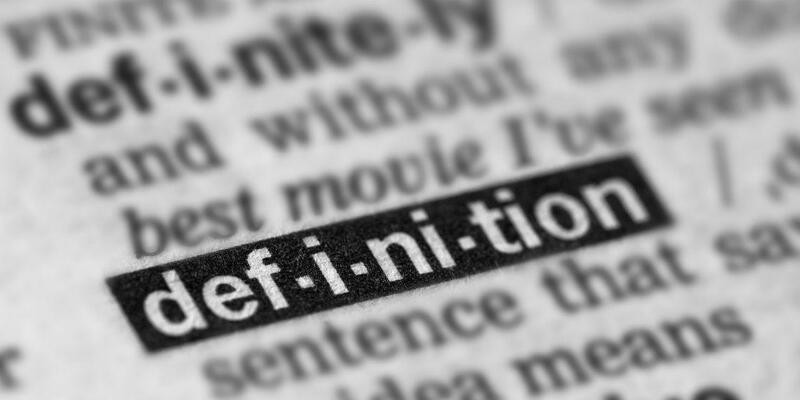 You are probably wanting less of a simple definition, and more of an easy-to-digest, full and comprehensive example. I’m going to break down what a Balanced Scorecard is—from strategy mapping, to initiatives—and describe its intricacies in detail. I’ve done my best to leave the “shop talk” at the curb, and explain this strategic methodology in plain English. By the end, I’m sure you’ll have a better idea as to what the Balanced Scorecard is and whether or not it can help your organization. 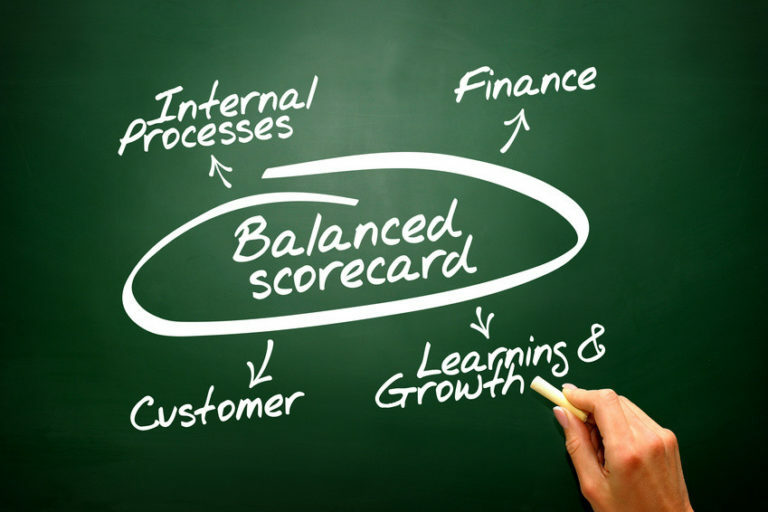 What Is A Balanced Scorecard (BSC)? A Balanced Scorecard—often abbreviated as “BSC”— is a strategy management framework. To learn more about what the Balanced Scorecard is and how it can aid your organization, take a look at this thorough definition. If you’re just starting to learn about the Balanced Scorecard, you’re going to see the words “objective,” “measure,” and “initiative” used regularly. You’ve probably heard them used before, but here’s a quick refresher course on what they mean. Objectives are high-level organizational goals. When you create an objective, you should focus on what your organization is trying to accomplish strategically. A very general example would be: “Become an internationally-recognized brand.” The typical BSC has 10-15 strategic objectives. Measures help you understand if you’re accomplishing your objectives strategically. They force you to question things like, “How do I know that I’m becoming an internationally-recognized brand?” (Hint: Your measures might change, but your objectives will remain the same.) You might have 1-2 measures per objective, so you are aiming to come up with 15-25 measures at the enterprise level of your strategy. Initiatives are key action programs developed to achieve your objectives. You’ll see initiatives referred to as “projects,” “actions,” or “activities outside of the Balanced Scorecard.” Most organizations will have 0-2 initiatives underway for every objective (with a total of 5-15 strategic initiatives). Action items typically arise from review meetings, and are tasks typically delegated to one person or a small team. They are technically not part of the BSC framework, but they are part of the management process as a whole; they help to achieve key initiatives in a timely and organized fashion. You have a high-level goal in mind, which is your objective. The measures say, “How will I know that I’m achieving the objective?” (In other words, they allow you to see if you’re meeting your goals.) 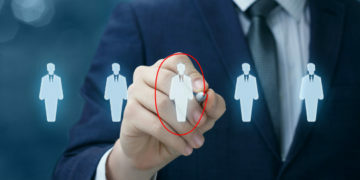 Then, the initiatives are put in place to answer the question, “What actions am I taking to accomplish the objective?” And finally, action items help delegate out small jobs that will allow you to complete your initiatives. Keep in mind, you may have multiple initiatives focused on improving your measures and achieving your objective. And, if your projects are not helping you improve in these areas, you may need to rethink your overall strategy. Why Build A Balanced Scorecard? There are many reasons why you should implement the Balanced Scorecard, but here is one way to look at it. How did we perform this past month, quarter, and year? How are we going to do next month, quarter, and year? 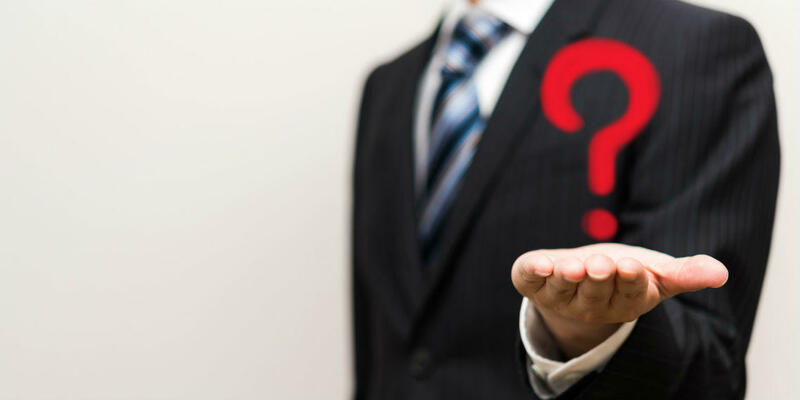 In order to answer these two broad questions, you need a management system that is able to to look backward and forward (with leading and lagging indicators). You not only need to know today’s performance and predict tomorrow’s performance, but you need to be able to demonstrate how your spending on strategic projects today will help you improve your impact in the future. The Balanced Scorecard is the closest management tool to a crystal ball as you will find. With that in mind, let’s dive right in to an example of what a Balanced Scorecard looks like in practice. A Balanced Scorecard is more than just a strategy map, but the strategy map is an important element. Essentially, mapping allows you to put your strategy on one page, in a “language” that everyone can understand. For this example, we’re going to look at Upward Airlines, a hypothetical airline loosely based on Southwest Airlines’ strategy in the early 2000s. I like to use Upward Airlines as a teaching example, because most people have flown on an airplane (and thus understand the objectives listed in the map). Want to see some sample Balanced Scorecard strategy maps? Download this free ebook with five examples. Reading a strategy map isn’t at all complicated, but if you haven’t done it before, it’s good to know where to start and what you’re looking at! First, notice the vertical text on the left side of the strategy map. These are the four perspectives of the Balanced Scorecard: Financial, Customer, Internal, and L&G (Learning & Growth). These perspectives make the BSC unique, because traditional reporting frameworks typically only look at the financial perspective. The 15 bubbles you’re looking at are Upward Airlines’ objectives—they are all filed under one of the four aforementioned perspectives. Strategy maps are read from top to bottom. The objectives are listed in order of importance. So, you’ll notice that the top goal of Upward is their financial goal, which is Increase Shareholder Value. Beneath the financial perspective is the customer perspective. This is because Upward believes that the way they’re going to meet their number one goal of increasing shareholder value is by making their customers happy. So what makes the customers happy? Well, Very Low Ticket Prices and Frequent Reliable Departures certainly do. And, the cost and experience need to be Comparable To Other Travel, like cars, trains, or buses. Upward knows that to meet financial goals and make customers happy, they need to focus on Innovation by offering Fast Ground Turnaround, Good Locations that better serve their customers, and Direct Routes to big cities. They’ll foster good relationships by creating Fun Experiences where everyone is treated well, and emphasize No Elites, because they believe all of their passengers are equals. Finally, they’ll focus on Cost Effectiveness, by focusing on No Frills, Standard Fleet, and High Utilization. By not offering fancy upgrades, keeping the planes simple, and filling the flights completely, they’re able to offer affordable flights. In order to execute all of this, Upward looks at their final perspective, which is Learning and Growth. They believe in offering High Compensation, Flexible Union Contracts, and want to achieve High Employee Ownership of the company. So as you can see, each of these perspectives directly relates to the next, offering a ground-up approach to strategy management. For Upward Airlines, this strategy is very effective, and helps them ensure that they continue to add value to their firm. Now that you know how to interpret a strategy map, let’s take a look at a few examples. Reviewing strategy maps from both inside and outside your sector is critical, as it will give you a good idea of what other organizations are doing to ensure their success. The six strategy maps below are hypothetical and for educational purposes only—but in studying them and reading more about what makes each unique, you’ll have a better idea of how to make your strategy map the cornerstone of your strategic execution. Naturally, any for-profit financial institution scorecard will list financial objective statements at the top of its strategy map. As you can tell from this map, this bank wants to be certain it can both support its clients and grow the business simultaneously. It’s worth noting that even though the departments, divisions, and territories of financial institutions may have different strategies, they should all tie to one common organizational strategy. Some organizations have one map for all departments and divisions and others have a separate map for each. Manufacturing companies are primarily concerned with operational efficiency—both increasing their output and decreasing production costs. Some of the ways they can achieve these goals are by creating correctly-priced goods, ensuring their products can be easily obtained by customers, and manufacturing the right assortment of goods, among other things. Manufacturers also typically place a large emphasis on safety, and so implement many related goals and metrics. Innovation is fairly common in manufacturing strategy maps today, but it is not included in the example above. In the software example above, the customer and internal perspectives are combined. This highlights what the customer is looking for and how the company is responding. There are three areas focused around the customer relationship, market leadership and operational excellence. The company also split their “Learning and Growth” perspective into two sections: Industry Expertise and Talent. This is a nice example strategy map because it shows that you don’t have to have a perfect Norton Kaplan scorecard; you can be flexible with a map as long as it lays out your organization’s strategy in a clear way. You’ll notice how this municipal strategy map has five internal process categories. Some city officials refer to these as “key areas of focus” or “pillars of excellence.” Whatever you call them, these groupings of objectives are based on the areas deemed critical for the city, and should tie back into how your city officials relate to your citizens. For example, this strategy emphasizes safety, a strong economy, and a creative culture, among other things. If you’re in municipal government, figure out which areas of focus are critical to your city through citizen and leadership input, and then group your objectives beneath those categories. Unlike the other examples above, this strategy map begins with a purpose statement. Not all organizations do this, but this may be helpful for healthcare organizations who need to place additional emphasis on what is most critical to them and what they’re trying to achieve. Additionally, note that this scorecard positions customer (i.e. patient) and financial goals together at the top of the strategy map. This is because hospitals (and nonprofits) need steady financing to operate. Remember, this is another good example of how you can structure a strategy map to tell your story. The map is a flexible framework and can be built to meet your needs. Mission-driven organizations often restate their mission above their strategy map to stay focused on their goal. Many nonprofits have trouble connecting their daily activities with their mission, so putting their objectives on the same map as their mission statement is a great way to make that connection. With all nonprofits understand there are situations they have direct control over and situations they have very little control over. (For example, providing job placement services is challenging during an economic meltdown.) Therefore, those in this industry have to their best to determine realistic measures, initiatives, and goals that will help you make an impact where you can. At this point, it’s important to note that there are several ways you can put together a BSC; you can use a program like Excel, Google Sheets, or PowerPoint, or you can use reporting software. For the sake of example, we’re going to show you a BSC in ClearPoint’s Balanced Scorecard (BSC) software format. What you’re seeing in the image above is what you’d call a “scorecard view.” It is less visual than the strategy map, but provides more detail into the measures and initiatives that are tied to each objective. Notice that in the scorecard view and in the strategy map, there’s either a red, yellow, and green indicator next to the objective, measure, or initiative. Green typically indicates that everything is going as planned, while yellow and red indicate that there are various degrees of trouble with whatever is being looked at. Now that you know how to decode a strategy map, this scorecard view requires little explanation. Now, we’re going to break down the details of an objective, measure, and initiative. As previously mentioned, objectives are high-level organizational goals. That is why they are listed on the scorecard. They are typically the 10-15 strategic goals that your company would like to see achieved. Owner: Owner: You’ll notice that Lawrence Zito is the “owner” of this objective, and is thus responsible for it. Description: This is the company-specific description of how Upward Airlines plans to achieve the objective. Divisions: Here we can see how the divisions (or child scorecards) align to this objective. This is a common approach for bigger organizations that have scorecards in their divisions and departments. You’ll notice some similar fields and some that are different. Once again, you have an “owner” and a chart analyzing the target and actual numbers for average wage to better understand whether goals are being met. Description, Analysis, & Recommendation: This offers more insight into why the initiative is important, what it’s examining, and how it’s should be accomplished. Start & End Date: These are specific to an initiative, and must be noted. Milestones: This helps measure the progress toward achieving this initiative. Milestone Gantt Chart: This is a visual way to understand Upward Air’s progress in achieving its milestones. This process has now come full circle. You can see how every objective listed on the strategy map above is only going to be met when measures, initiatives, and action items are delivered correctly and accurately. The Balanced Scorecard is only useful if you report on it. What I mean is, simply having a scorecard doesn’t help you execute your strategy—you have to actually put it to work. When you integrate the scorecard throughout your entire organization, hold every report owner accountable for being timely and accurate, report regularly, and make adjustments as needed, you’ll see great things happen. If you don’t have a clearly defined organizational strategy, define one. Click the link below and give our Strategy Execution Toolkit a try. You’ll have your Balanced Scorecard ready and implemented in no time! If you already have a strategy and you’re looking for reporting software options, read 8 Things To Demand From Your Reporting Software Vendor to help focus your research process. If you’ve already defined your strategy and are ready to try some proven Balanced Scorecard software risk-free, fill out this form to start a 15-day free trial of ClearPoint. This trial includes access to our “Upward Air” demo account (the same company as the example scorecard we walked you through above), full editing capability, access to in-app messaging, and a private demo. Get started today!